The defacing of rock art sites in Arizona has become a distressing and persistent reality, which must be addressed swiftly. 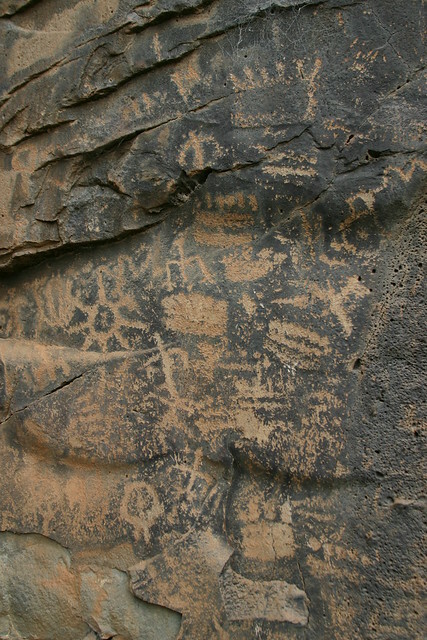 To promote public awareness and debate about the preservation of rock art sites, a panel of archaeologists will discuss a variety of topics, including recent vandalism at Keyhole Sink; debates over rock art conservation models; Native American concerns about the destruction of cultural heritage; and stewardship of archaeological sites. The damage at Keyhole Sink is a fresh reminder of the ongoing assault on ancient archaeological sites in Arizona and across the South-west – graffiti, looting of artefacts, littering and garbage-dumping. Sites are defaced with paint, bullet marks, paint-ball stains and messages scratched into rocks. Professional thieves remove pottery, hack out chunks of ancient art-covered rock and dislodge anything they can carry away.